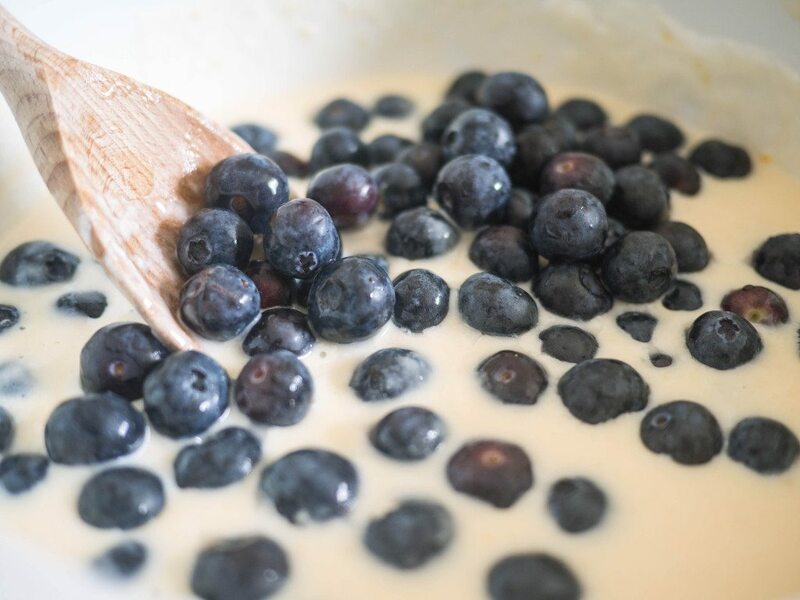 As I write this, there’s a piece of pie next time me, the blueberries, burst from baking, are seeping their purple juices into the creamy custard. I’m trying to savour every bite because otherwise I could probably eat another few slices before I finish my cup of tea. 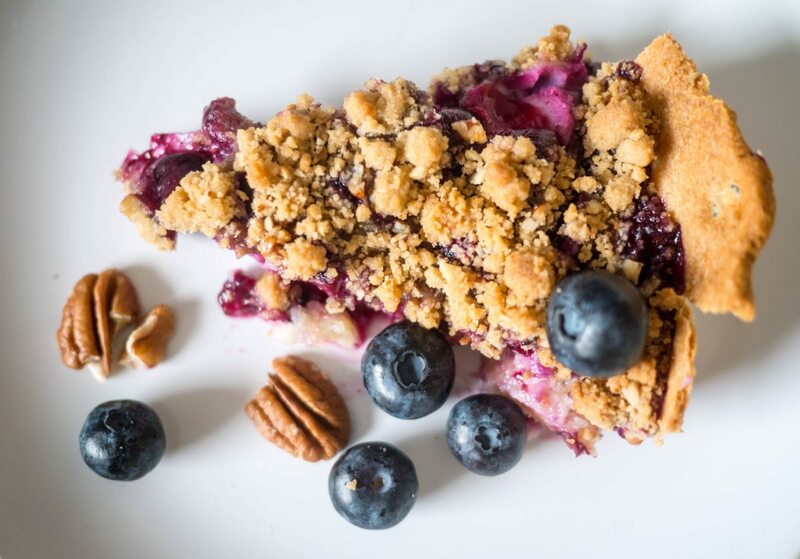 I told Jorge to look through my Pinterest board of sweet recipe inspiration and he landed on this Blueberry Custard Pie, posted originally by The Girl Who Ate Everything – a mix of her own streusel topping and filling that Baker Beth contributed to All Recipes. Turned out to be an excellent choice. 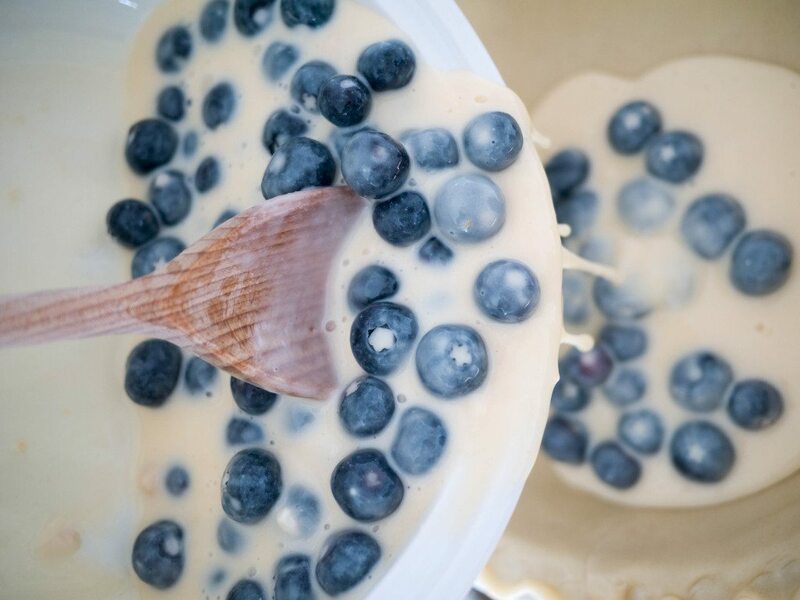 It was super easy to make and it has a lot of blueberries which makes it healthy, right?? Pre-heat the oven to 400F / 204C. 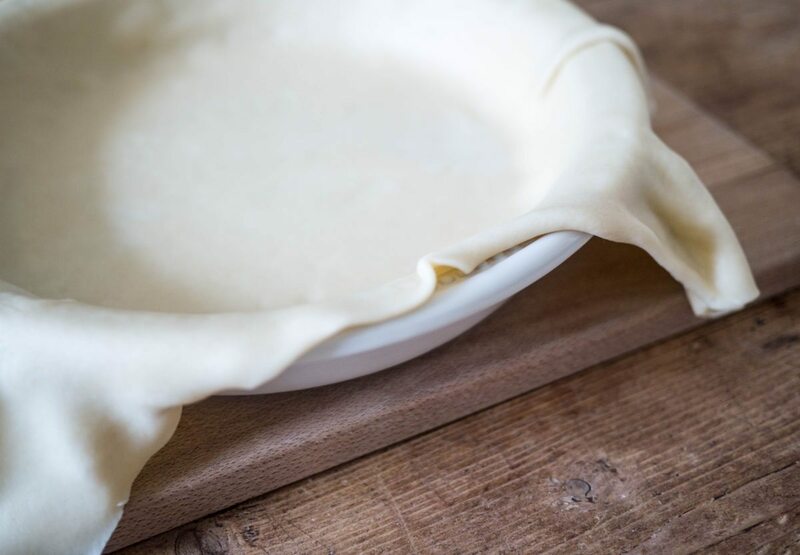 Prepare your pie crust first if you haven’t bought one pre-cooked. 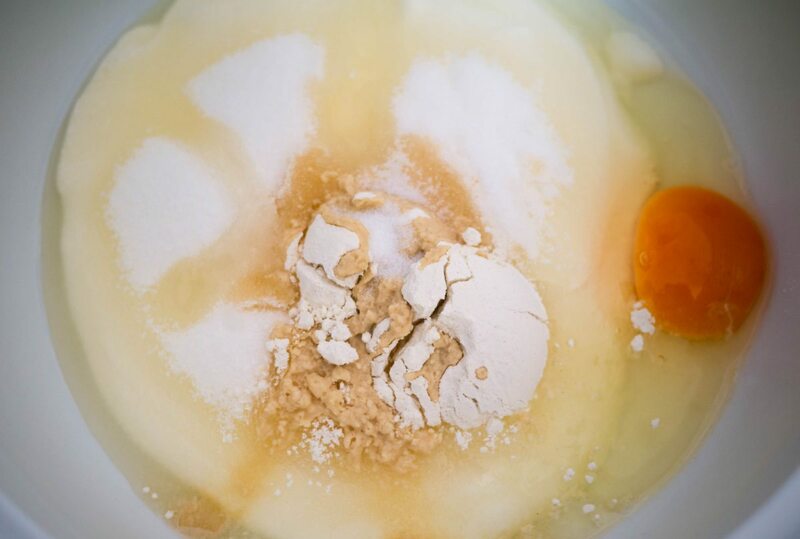 Mix together the cream, sugar, egg, flour, vanilla and salt. 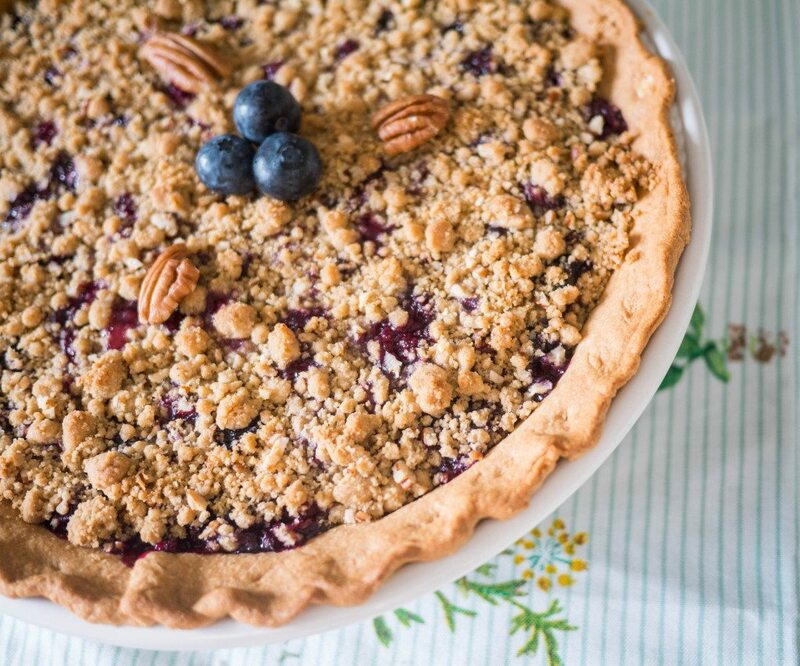 While your pie is baking, prepare the topping. 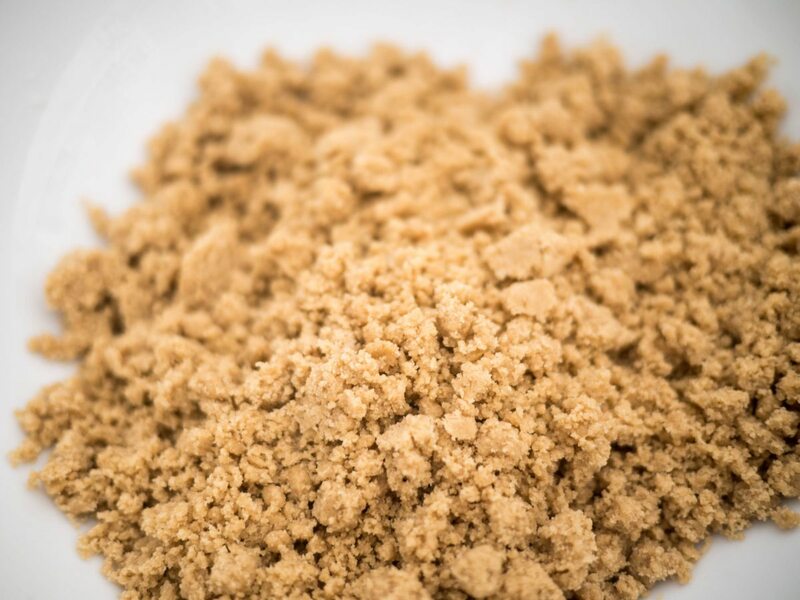 Stir the brown sugar and flour together. Then, using your hands, mix in the butter. I added more flour than recommended by the recipe until I created a grainy texture. 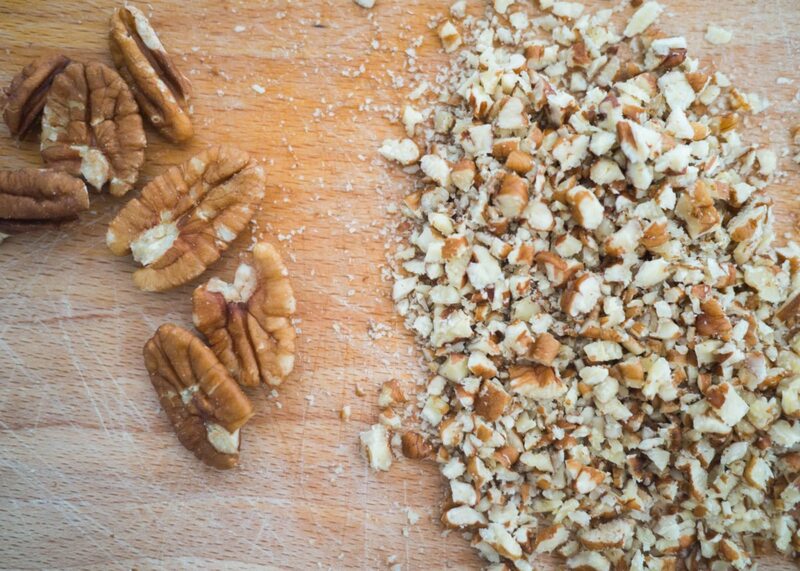 Add in the chopped pecans. 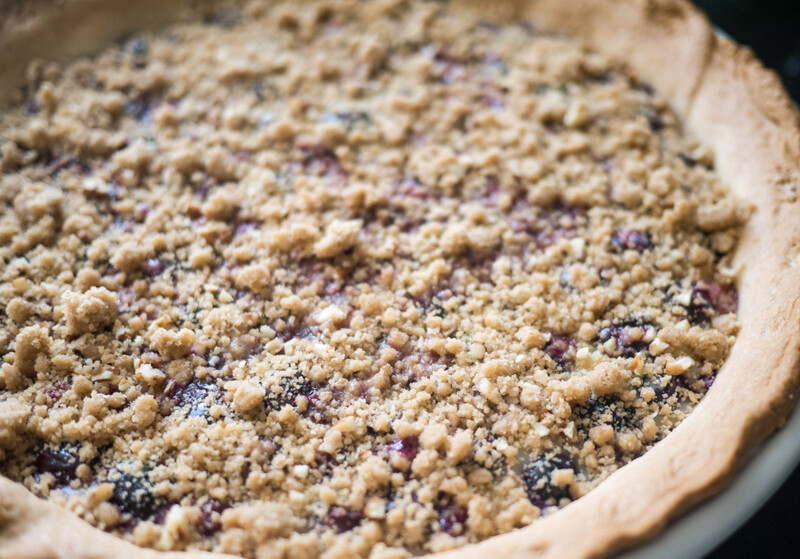 After your pie has baked for 25 minutes, pull from the oven and sprinkle on the topping. 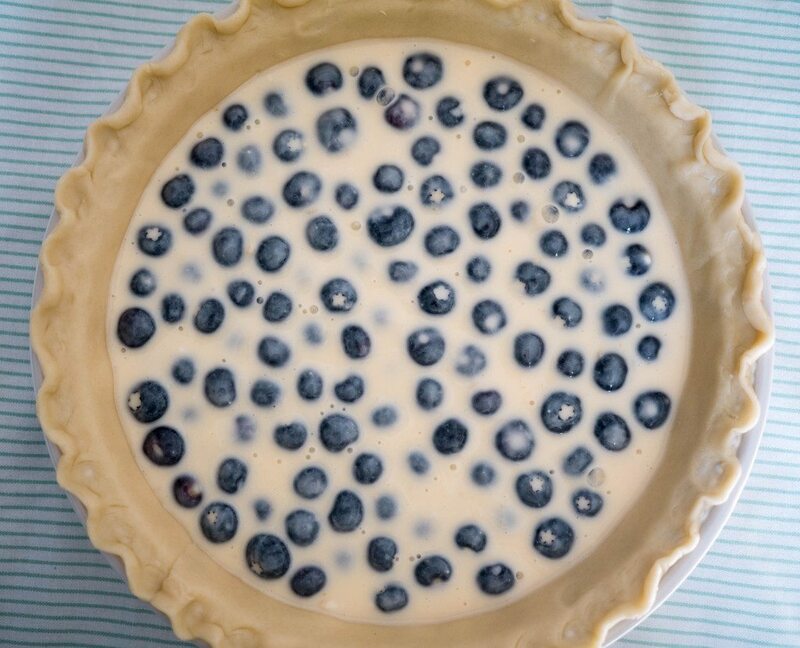 I didn’t use the full amount, leaving a bit of blue showing through, but the original recipe spreads it on quite thickly. It’s up to you! 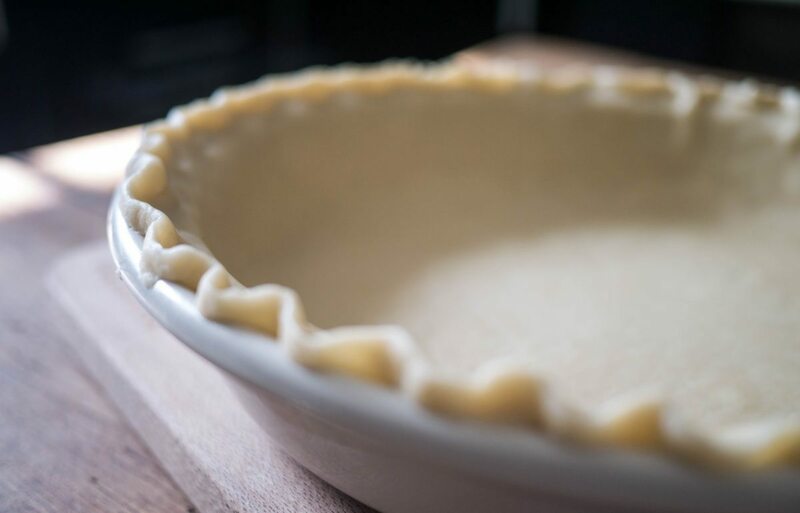 Before you stick the pie back into the oven, either use a crust shield or do what I did and create one with tinfoil wrapped loosely around the edge. Bake for another 15-20 minutes until the filling sets and topping has browned. Let it sit for 10-15 minutes before serving. 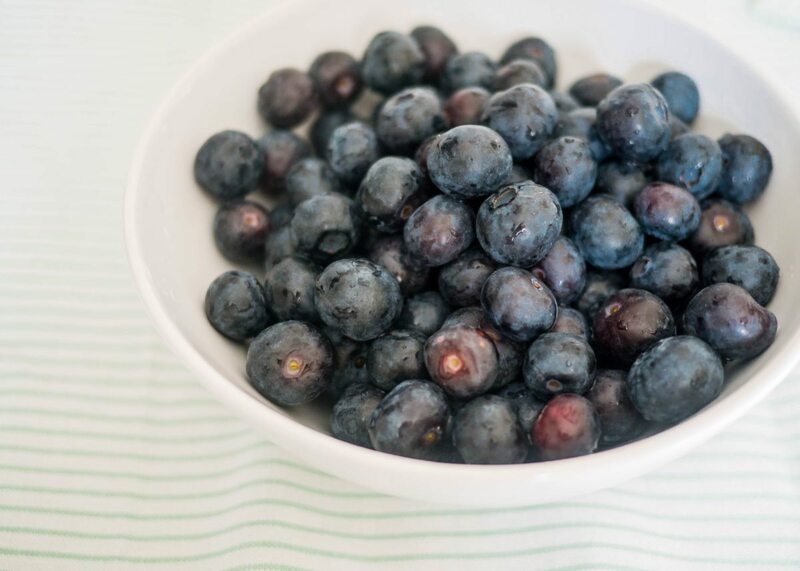 Serve warm or chill and serve cold with a few extra blueberries. 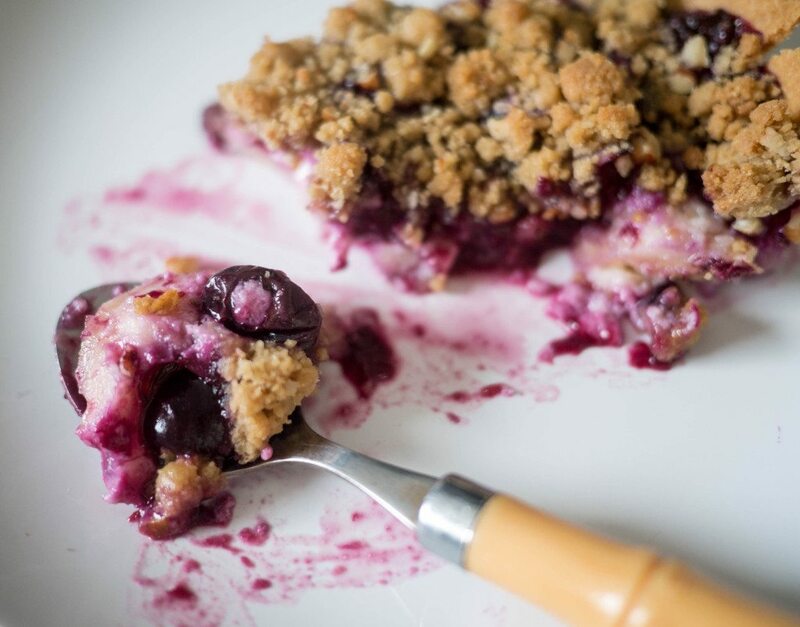 We thought it might be extra delicious with a little scoop of vanilla bean ice cream. 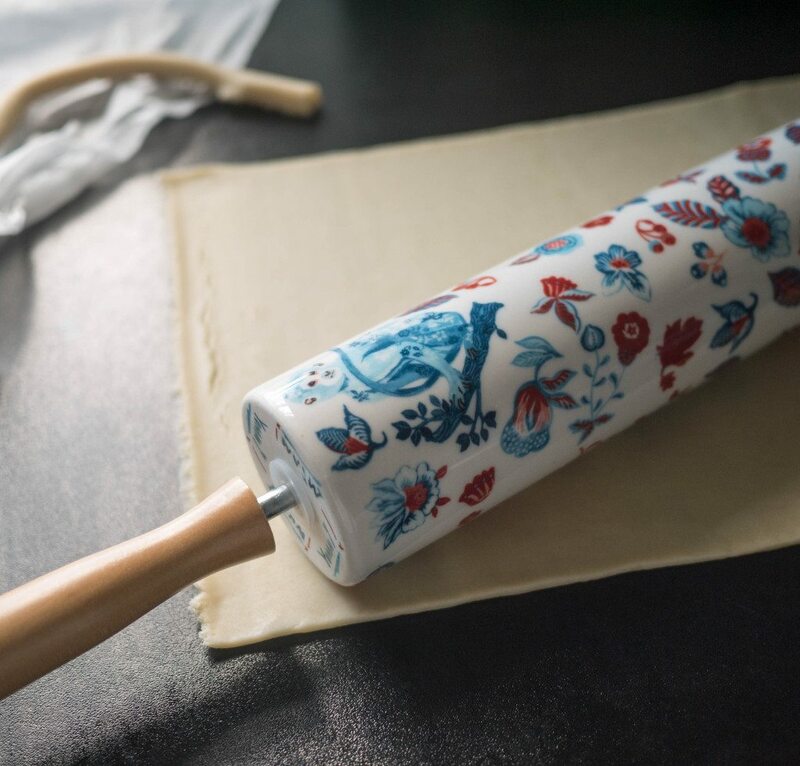 Links: rolling pin, cake server, pie dish, tea towel (sale!). YUM! This looks so delicious. 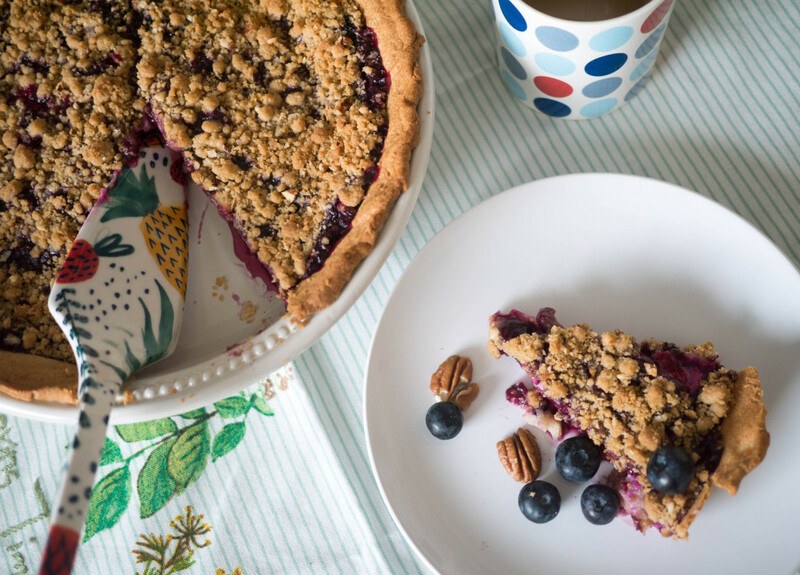 I love blueberry pies in the summer. Must make this!